Following on from our article on considerations when buying a mobility scooter, Beechfield Healthcare are here to share a number of tips related to mobility scooter safety. 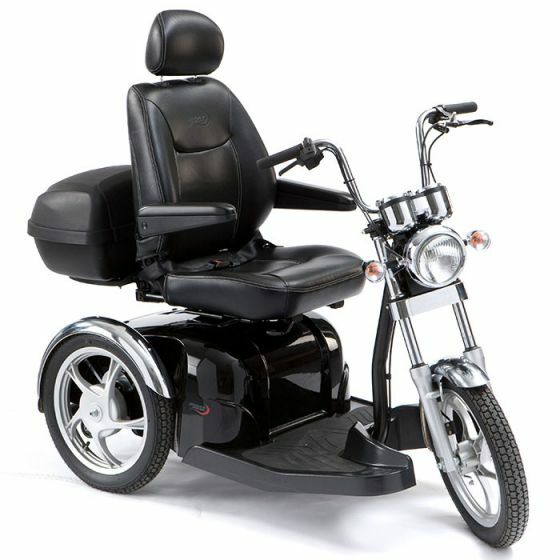 It may sound obvious but reading the instruction manual for your mobility scooter will help familiarise yourself with the functions and limitations of the scooter while also providing you with instructions on safe use, its capabilities on rough terrains, required maintenance and especially battery charging. With a mobility scooter, it is best to drive the scooter head-on at any ramped curbs. The manual should once again come in handy to instruct on the scooter’s ability to navigate steep ramps. Do not drive up ramps at an angle as this may cause the scooter to tip. Wear brightly coloured or reflective clothing. Placing reflective strips on the back and sides of the scooter is also worth considering. If your scooter has lights, switch them on so that you are more visible in dark or overcast conditions. A brightly coloured flag attached to the backseat of the scooter improves your visibility and allows you to be seen from a distance. Mobility scooter users are classified as pedestrians. This means following the same rules as pedestrians such as travelling by footpath if accessible and crossing the road at pedestrian crossings. Always be cautious when using the road and make eye contact with motorists before crossing to ensure that they are intending to stop and let you by. When travelling around in your mobility scooter, familiarise yourself with the places you go to most. This will warn you of obstacles that may hinder or slow down your journey, allowing you plan the best route in future. During this process, take someone with you to help out and always carry a mobile phone in case you are stuck when alone. When disembarking from your scooter, make sure it’s turned off and the brake is applied to prevent accidents. If you are interested in buying a mobility scooter from us, check out our full range of mobility scooters. If you need impartial, free, professional advice call us on 057 868 2304. Our scooters come with free delivery to anywhere on the island of Ireland and we will not be beaten on price.